You carefully handpick the cabinets, appliances, and materials in your home and you search for things that are both enduring and inspired. When it comes to choosing your tables, chairs and stools, Canadel is in a class by itself. Made from birch, their furniture is well-protected and stain resistant. 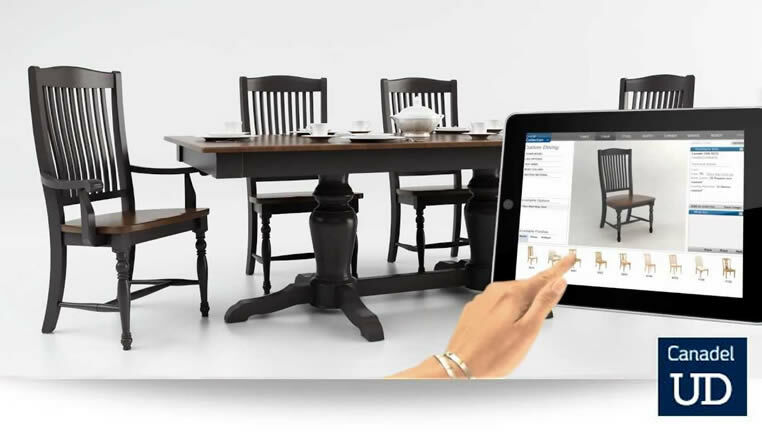 Let the experts at Gilberg Furniture help design the perfect dining room for your style and home. With a selection of over 30 sizes and up to 168" in length, you can be sure that we have the right size and style for your home! Did you know that you can customize every aspect of your furniture: color, shape and finish. Try the Canadel U Design Tool, their exclusive design software, to see your dreams come true in just a few clicks! It's free and accessible at all times, available on your Desktop Computer, iPad, iPhone and Android. No download necessary.